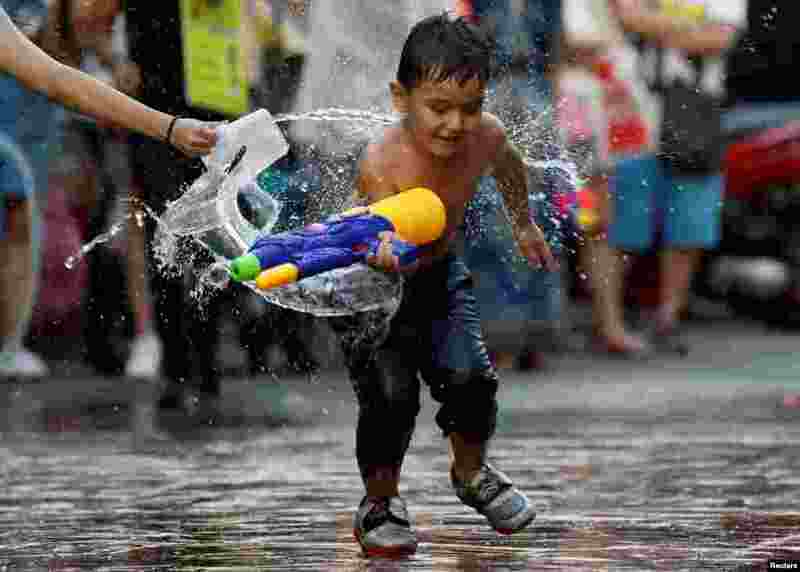 1 A boy plays with water during the Songkran Water Festival celebrations to commemorate the Thai New Year in Bangkok, Thailand, April 12, 2018. 2 Jazmin Sawyers of England competes in the women's long jump final during the Commonwealth Games in Gold Coast, Australia, April 12, 2018. 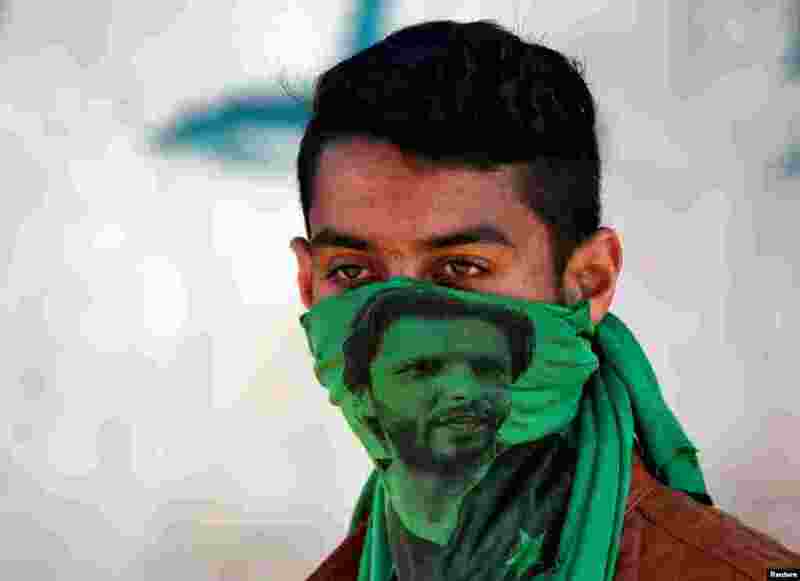 4 A protester wearing a mask with an image of former Pakistani cricket player Shahid Afridi attends a protest against the recent killings in Kashmir, in Srinagar April 12, 2018.